EAST Students at Sheridan High School are learning how to use advanced, new technology in their classroom. 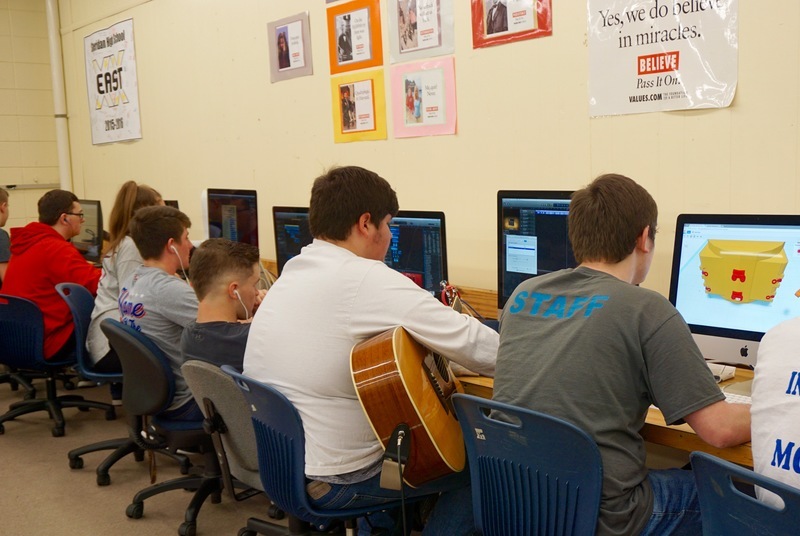 This school year, the EAST Program added six iMac desktops and two 3D printers. The new technology was purchased in part by a $5,000 Upgrade Grant the high school was awarded this fall from the EAST Initiative. EAST is the acronym for Environmental and Spatial Technology. It is a project-based, service-learning oriented program that provides students with the advanced technology you find in progressive occupational fields. SHS is one of about 200 schools to offer the EAST program to students. For another student, Grant Dawson, the greatest advantage of getting these new computers is the computing power. “We had problems loading programs and transferring things,” Dawson said. With the 3D printers, the students are having fun using their creativity to bring their designs to life. “It has been incredible to see how engaged my students have been in learning how to use these printers,” said Clark. 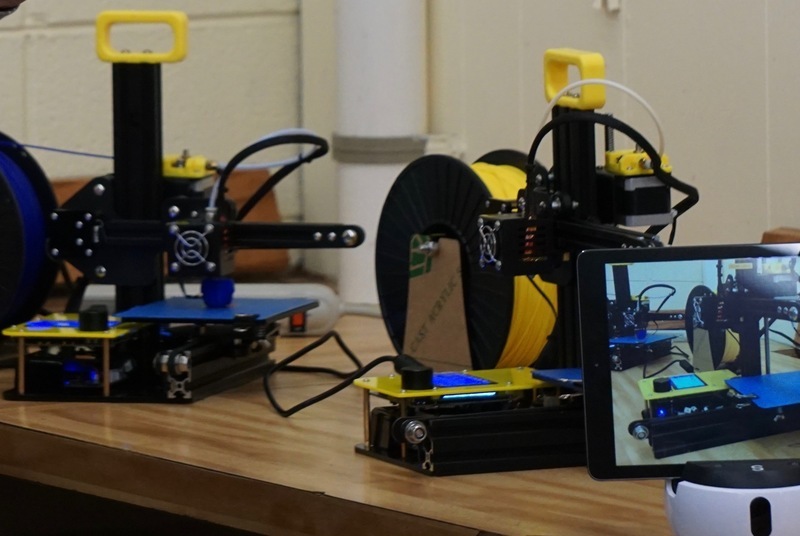 3D printers create three-dimensional objects from digital files using an additive process. The object is created by laying down successive layers of material until the object is formed. 3D printing is being used more and more in a variety of industries, including manufacturing, healthcare, and aerospace. 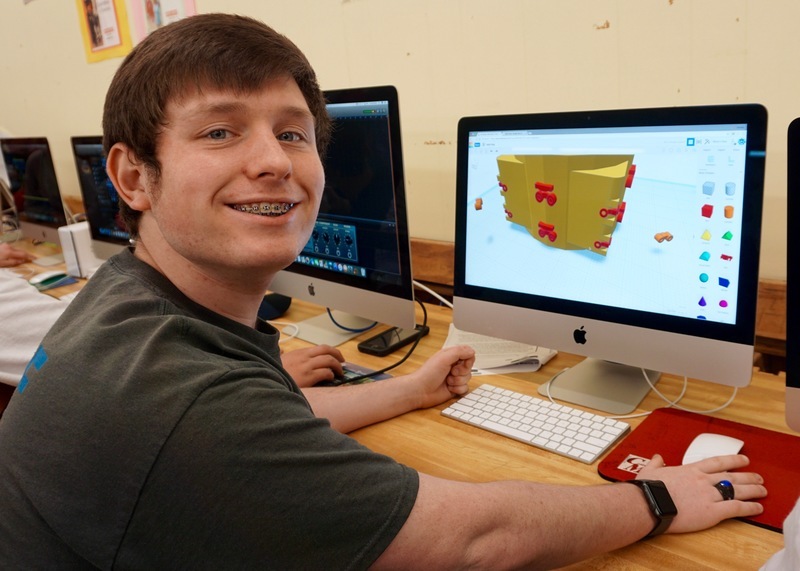 EAST student, Grant Dawson, is using the TinkerCad software on the school's new iMac desktop to create a Jade Cong, a Chinese art piece, for his AP Art History class. He said, "The resolution on these iMacs makes this a lot easier. All in all, the new technology is allowing our EAST program to go way further than we were able to before."